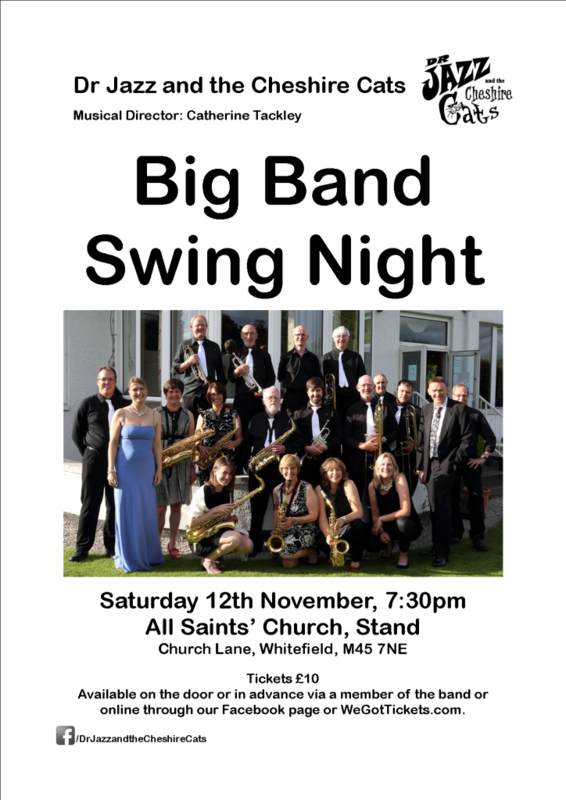 Join one of the North West’s leading big bands for a night of swinging jazz in the splendid surroundings of All Saints Church, Whitefield. 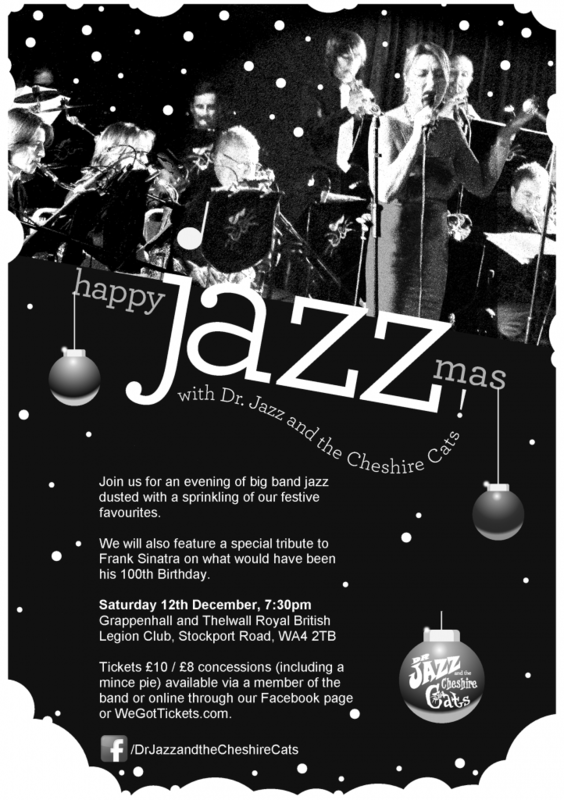 Dr Jazz and the Cheshire Cats Big Band present familiar classics and some forgotten gems from the bands of Glenn Miller, Count Basie, Benny Goodman, Duke Ellington and many more. The concert also features songs made famous by Frank Sinatra and the Rat Pack, by jazz divas such as Ella Fitzgerald and more recently by Robbie Williams and Michael Bublé. Don’t miss this opportunity to experience the authentic big band sound in an evening which is sure to swing from beginning to end! Tickets are available from a member of the band or online through WeGotTickets. 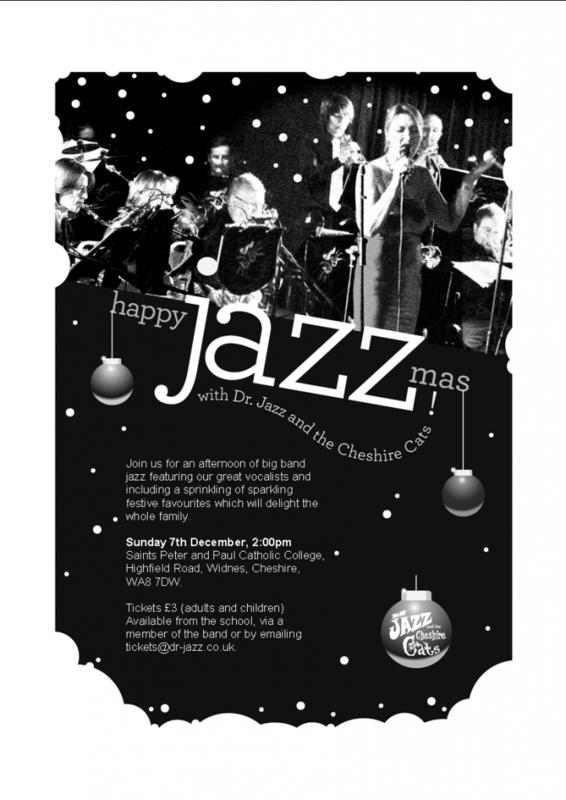 Tickets are now available for the 2015 Dr Jazz and the Cheshire Cats Christmas Party. This year, our party happens to fall on the exact date of what would have been Frank Sinatra’s 100th Birthday and so we will be featuring a special tribute. For more information on tickets, please see the following flyer. Copyright © 2019 by Dr Jazz and the Cheshire Cats. All rights reserved.